Tiffany Style Table. 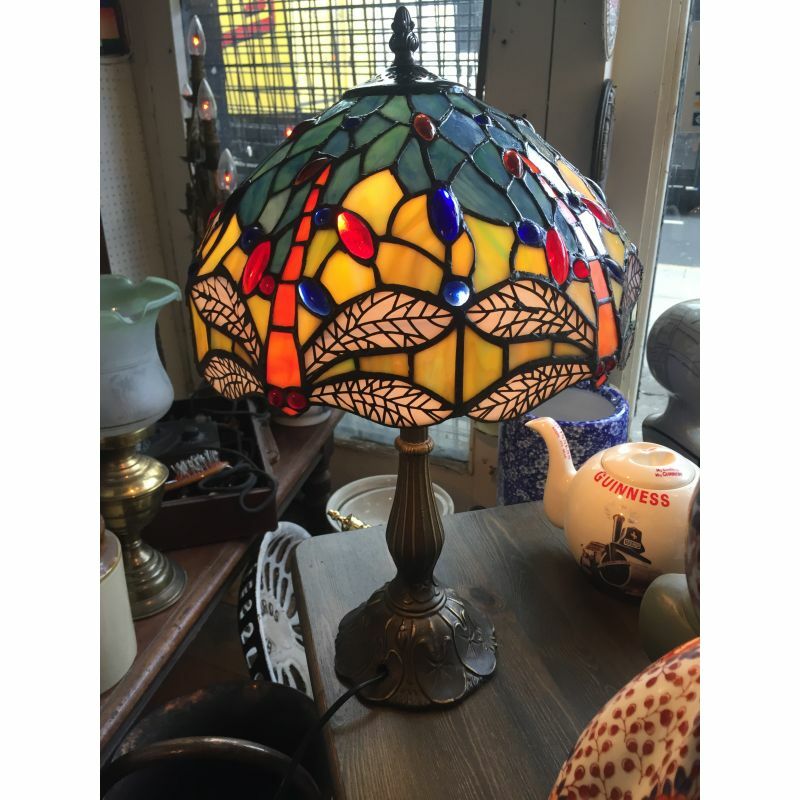 This great looking large shade table lamp. This Lamp has a real Art Deco look, with the wonderful colours of the lamp with the classic Tiffany dragon fly motif.